Mercedes-Benz C-Class Estate Boot Space, Size, Seats | What Car? Front cabin space is generous and there are plenty of handy places to store oddments, including a hinged compartment ahead of the infotainment dial, a central cubby beneath the splitting armrest and well-sized door bins. Very tall drivers may find their head room is marginal when the panoramic roof is fitted, but for most people there will be plenty of head and leg room. 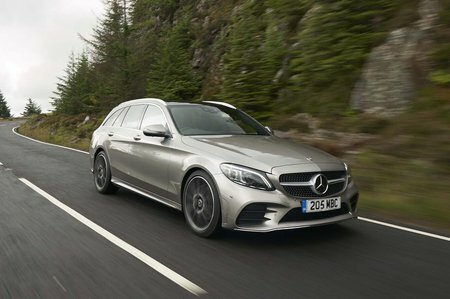 While the C-Class Estate is a five-seater, only two six-footers can occupy the rear seats in comfort, though again the panoramic roof squeezes head room slightly for the very tall. Anyone using the middle seat will find themselves shoulder-to-shoulder with other occupants and their legs splayed around the wide transmission tunnel. This contrasts with the comparatively wide cabin of the Audi A4 Avant and the generous rear space in the BMW 3 Series Touring, which offers reasonable comfort even for the middle passenger. The door bins are usefully large, too. 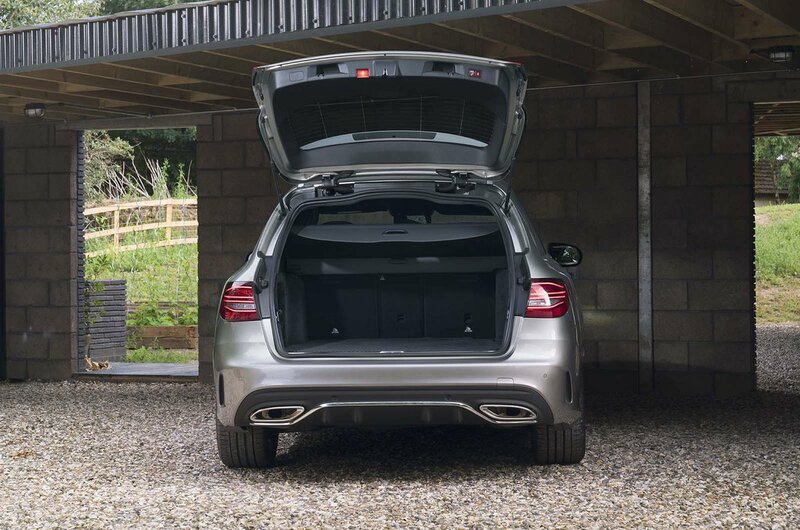 Where SUV's can offer the usefulness of sliding and reclining rear seats, there’s less scope for such seating flexibility in a traditional estate. 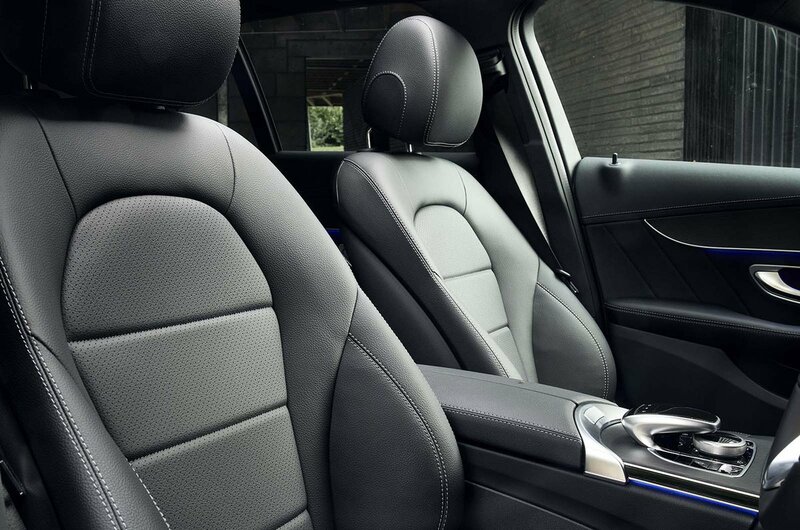 With the C-Class you get rear seats that simply split and fold in a 40/20/40 configuration to make extra room for luggage, but the front passenger seatback doesn’t fold flat for when you want to carry particularly long loads. The Mercedes has a low load lip and also benefits from some useful under-floor storage. Just remember that the hybrid versions of the C-Class estate have smaller boots than the normal versions.